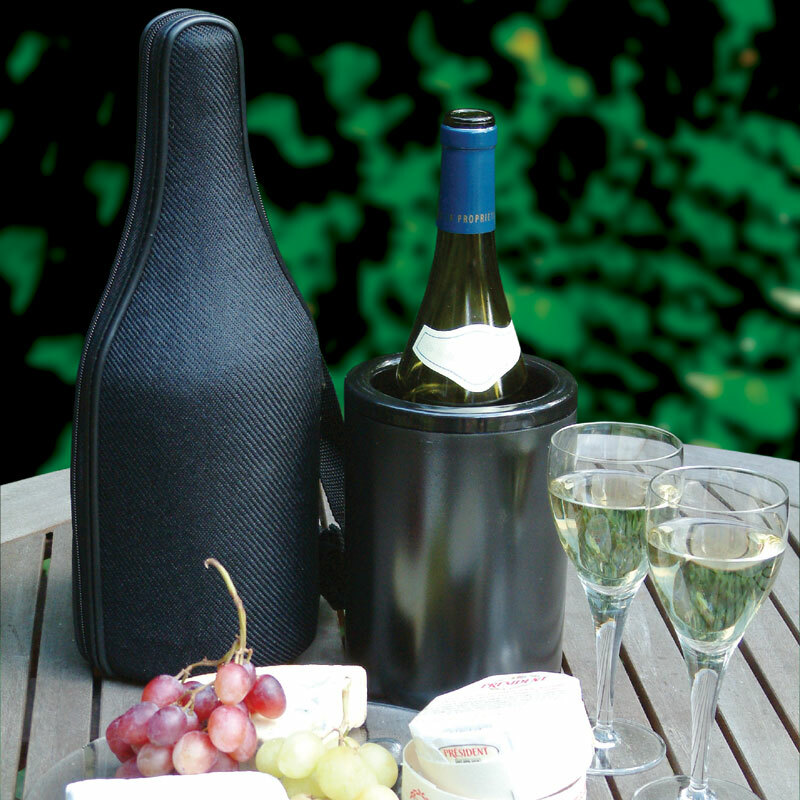 The CellarDine CaddyO Bottle Chiller keeps bottles of wine, juice or any other drink cold for up to 9 hours. Ideal for all manner of parties, gatherings, home entertaining events, camping trips and festivals. Its clever design chills a bottle from room temperature in just 20 minutes thanks to an inner chill core frozen in your freezer before use. The insulated neoprene cover has a built in stainless steel corkscrew on the shoulder strap to effortlessly remove corks from wine bottles wherever you are. 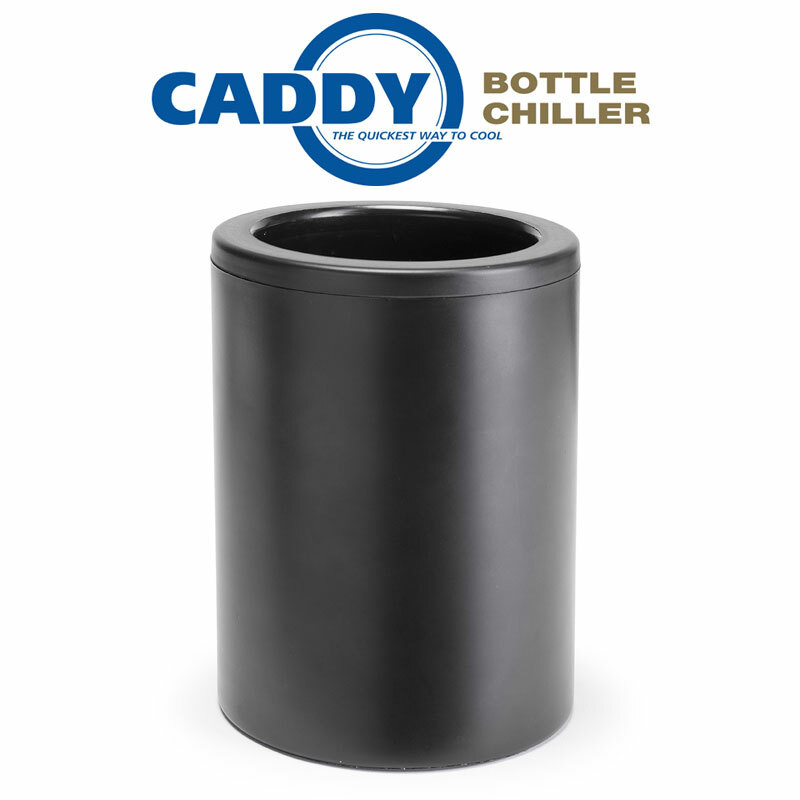 Insert the Caddyo chilling core into the freezer (minimum period 4 hours), stand up right for best performance. 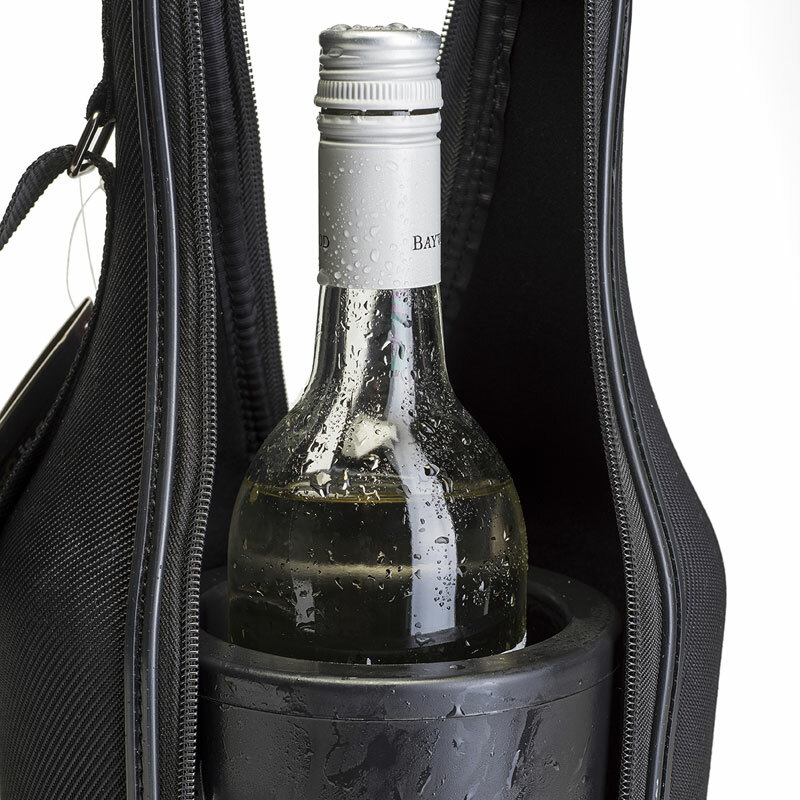 Place warm or pre chilled bottle inside the Caddyo core. Place the Caddyo core with bottle inside the neoprene cover and zip up. It's now ready to go and will chill your bottle whilst you are on the move and stay cold for up to 9 hours. 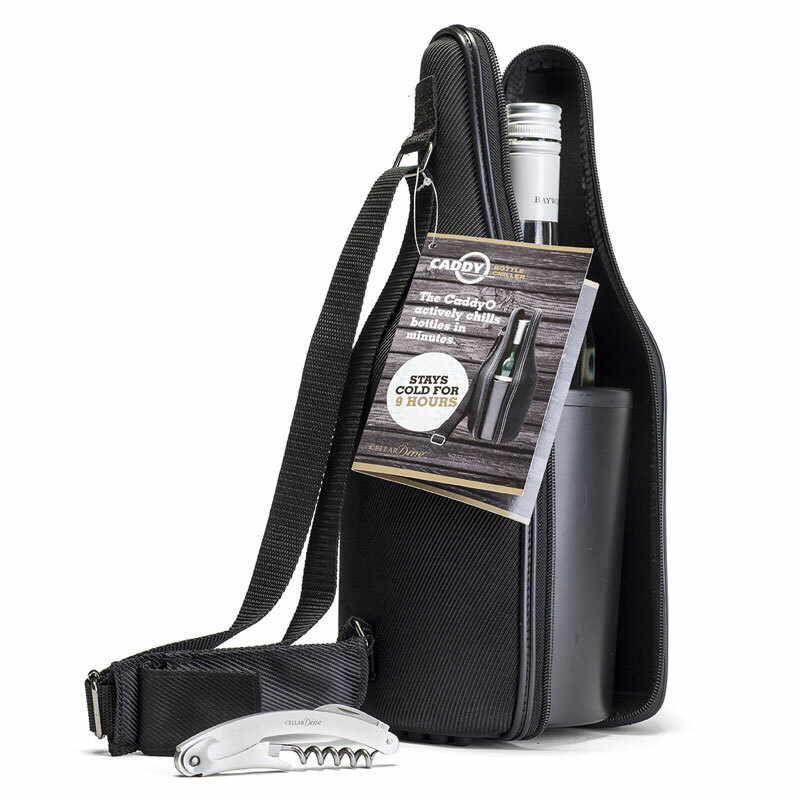 The waiter’s friend is tucked inside the shoulder strap, ready to use! Use with 750ml or 1L bottles, alcoholic or non alcoholic bottles. To clean simply use a damp cloth. A small batch of condensation will appear on the inside of the neoprene when used, this is perfectly normal as it means the Caddyo is doing its job by maximising the cold insulation.